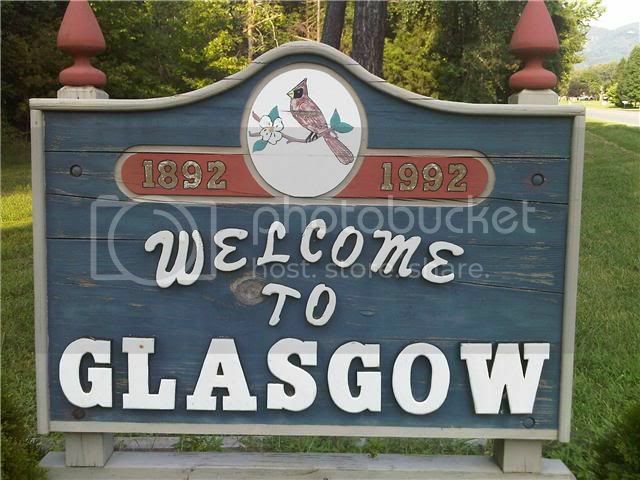 This is the sign that welcomes you to Glasgow, a small town at the base of the Blue Ridge Mountains in Virginia (bet you sang that!!!! ). We spotted many things there that could make you think you were in the dear green place BUT Mr Govangirl spotted there was no pub! Must be Glasgow Scotland.The bird has a black eye. LANDROVER ROGER wrote: Must be Glasgow Scotland.The bird has a black eye. That sign is on the trail of the lonesome pine.